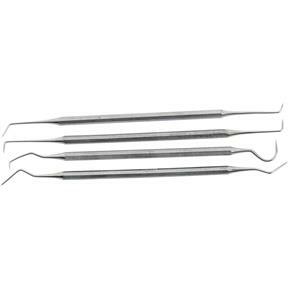 This stainless steel Dental Pick Set is perfect for a variety of uses around the shop. Whether restoring cut threads or fine scribing, you'll wonder how you ever got along without them. 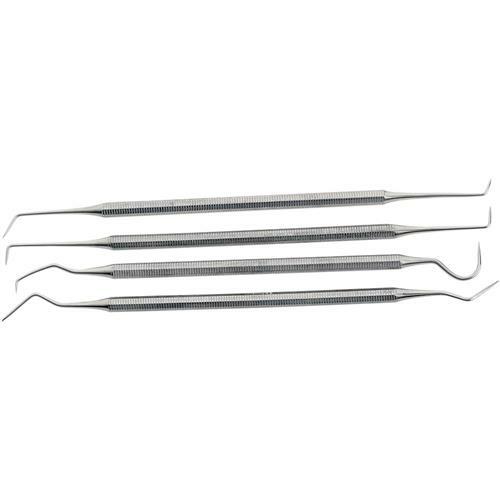 Each pick features two different pick styles, a knurled handle and measures 6-1/2" long. Set includes protective plastic pouch.